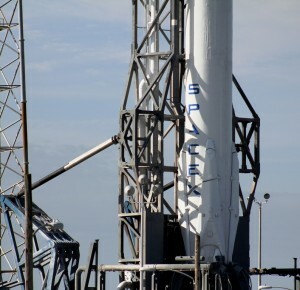 CAPE CANAVERAL, Fla — The launch of a Space Exploration Technologies (SpaceX ) Falcon 9 v1.1 with its payload of a Dragon spacecraft will have to wait a little longer before it takes to the skies. NASA released the new launch attempt via the NASA blog on SpaceX. This followed the scrubbed Jan. 6 launch attempt that was caused due to a actuator problem with the rocket’s second stage. 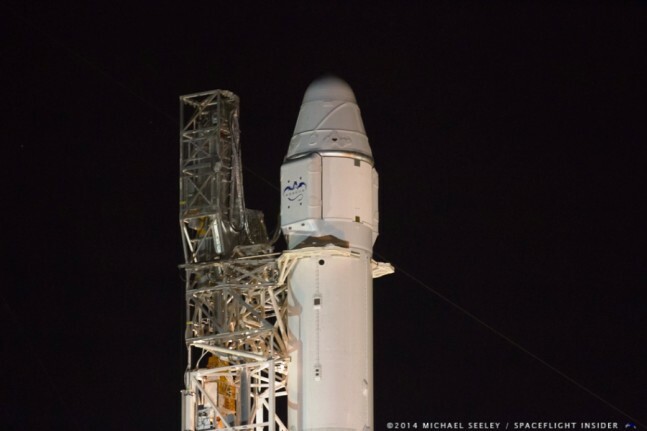 SpaceX will make its next attempt to launch the Falcon 9 rocket from the Cape Canaveral Air Force Station, Florida to send the unpiloted Dragon cargo ship to the International Space Station on Saturday, Jan. 10. Launch time is approximately 4:47 a.m. Eastern time. NASA TV coverage will begin at 3:30 a.m. Eastern time. A launch on Saturday would result in Dragon arriving at the station for its grapple on Monday, Jan. 12 at approximately 6 a.m. Eastern time. The backup launch opportunity would be on Tuesday, Jan. 13 with launch at approximately 3:36 a.m. Eastern time. That would result in a grapple of Dragon on Thursday, Jan. 15 at approximately 6 a.m. Eastern time. The move of the launch date to Jan. 10 results in a Dragon departure from the station on Tuesday, Feb. 10. If everything goes according to plan, the rockets flight could herald the start of a new era in space exploration. SpaceX is planning on having the Falcon 9 conduct a controlled descent on a barge that will be placed out in the Atlantic Ocean. Better to be safe than sorry but can SpaceX fulfil its obligations to all of its customers this year? 14+ launches planned this year, from what I can tell. Pretty ambitious. You incorrectly state the problem was with the actuator in the first stage. I believe SpaceX and other news sources indicated it was with the second stage. Like your website.